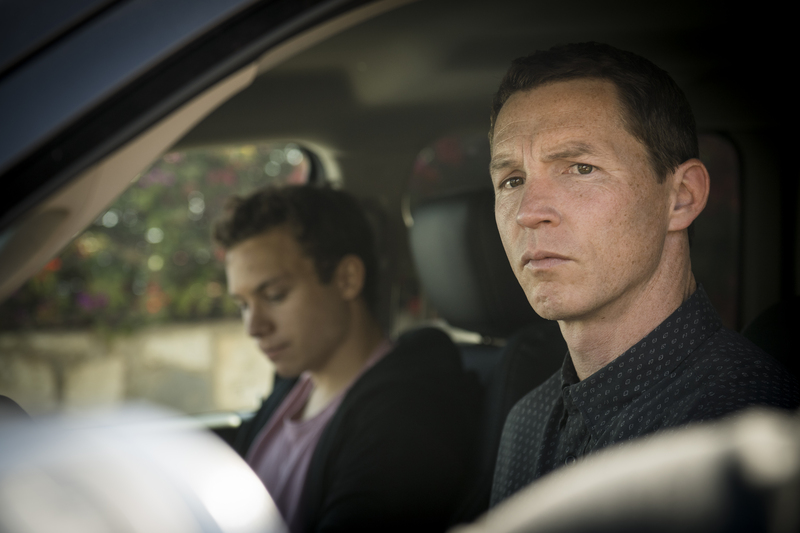 TNT’s freshman series Animal Kingdom has become a breakout hit for network and they have rewarded the series with an early season two renewal. The series follows Joshua “J” Cody, who after his mother overdoses, moves in with the Codys who are a criminal family and led by its matriarch Smurf. One of the characters who has stood out this season is Pope Cody, played by Shawn Hatosy. Shawn should be no stranger to our readers as he’s built an impressive resume in film and television. On the small screen, he starred as Detective Sammy Bryant in the critically acclaimed series Southland. He also starred in series such as Reckless, Bosch, Fear the Walking Dead and Body of Proof. On the big screen, he’s made impressive appearances in films such as John Q, The Faculty, Public Enemies and Bad Lieutenant: Port of Call New Orleans. We sit down with Shawn to talk about the evolution of Pope during the first season of Animal Kingdom, his thoughts on the relationship between Pope and Smurf and how he handled shooting one of the most emotional and physically demanding scenes of his career. Pop Culture Principle – Pope is unlike any character you’ve ever played. Is that what initially attracted you to the character? Shawn Hatosy – There were so many things that attracted me to the character of Pope. Certainly now that I’ve had the chance to do ten episodes with this guy, he just has all these levels and he’s just fun to play. It’s hard when you are writing television because you have these characters and you have to be true to those characters and often those voices remain the same, but with Pope, you just never know what you are going to get. Pop Culture Principle – Pope has this unhealthy, symbiotic relationship with Smurf. How damaging has this relationship been to Pope? Shawn Hatosy – I feel that if they don’t get some serious therapy, which probably isn’t going to happen, there’s not really any chance for the relationship unless he branches out. I can certainly see him trying, but I personally don’t think that it’s going to happen. He’s a mama’s boy and he will probably end up back with Smurf. Pop Culture Principle – Do you see Pope as a psychopath or is he just a product of his environment? Shawn Hatosy – Yea, I think you are right. He clearly has some hang-ups, but he is a consequence of Smurf’s example. If you look at the Codys, they are all pretty morally corrupted and Pope definitely has that too, but when it comes to loyalty to the family, there is no one as loyal as Pope. When it comes to heart, emotions and the ability to love, I don’t think that anybody can match Pope. Pop Culture Principle – Pope can be a ruthless individual, but at the same time, he has this almost childlike quality to him. Would you agree with that and if so, as an actor, how do you balance that in your performance? Shawn Hatosy – I think I just naturally am that way and that’s my demeanor being a little more boyish. The only reason I say that is because sometimes when I audition for parts, I get told they are looking for someone a little more manly or masculine, so I’ve heard that before and I think that’s just a part of me coming out in Pope. I do think of it and I like that about Pope because I believe people can identify with that. When you are portraying someone who is dark and disturbing, you are trying to find the elements that people can sympathize with. Also, we didn’t have all the answers for him when we first started. We had a basic foundation, but what has happened is that he’s grown into what we have now and he will continue to grow. It’s little things like his OCD and him being very clean. I remember reading episode seven when they have a big party when Smurf is out of town. It was written that when Smurf comes home that the place was still a disaster and I thought to myself there is no way that would happen. If Pope gets to it and starts cleaning up, it’s going to be better than before. It says a lot about the writers and their willingness to collaborate with the actors. Pop Culture Principle – In tonight’s episode, Pope kills Baz’s girlfriend Catherine in an emotionally charged and violent scene. How did you prepare for that scene and was it tough to shoot? 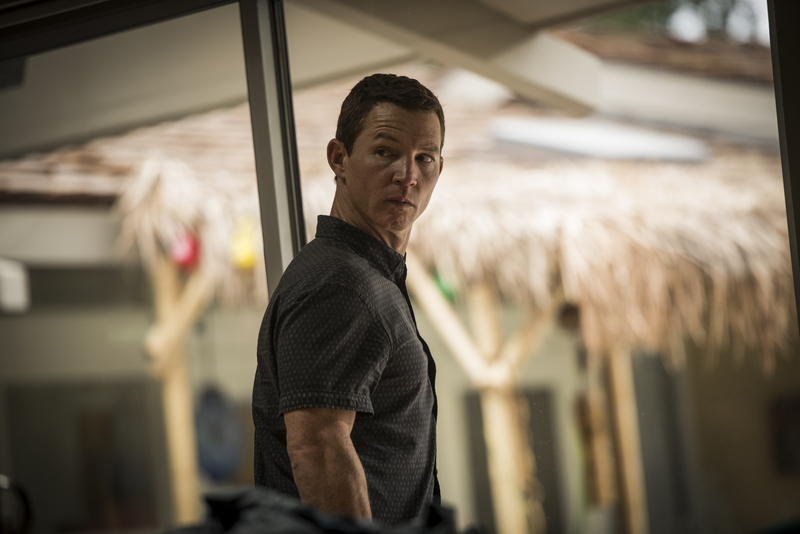 Shawn Hatosy – It was a tough scene to shoot. The director Christopher Chulack, who is also an executive producer on the series, is a close friend of mine and we’ve done a lot of stuff together in the past and the same with Jonathan Lisco who wrote the episode. So, first things first, having people that I trust, which is so important when you are acting in scenes that are challenging emotionally and physically, it is the most important thing. So, going into it and having those guys in my corner, it takes a lot of pressure off of me because we work so well together creatively. Scenes like that are tough because you have an expectation of how you want it to come out. So, you have that going into it, but once you are in there and doing the scene, all of the emotions surrounding not only what is happening in the scene, but somebody we care about, in this case Daniella Alonso who is amazing, she’s leaving. It makes it even more real and emotional and you are doing something so unthinkable. I also give Daniella a lot of credit because she had a lot of challenging stuff to do in that scene and my hat is off to her for doing such a wonderful job. Pop Culture Principle – For a moment there, the show made it seem like Pope was going to kill Catherine’s daughter. Was there any discussion about that possibly happening and if it had, could Pope ever be redeemable after such a horrific act? Shawn Hatosy – Pope would never kill the daughter. The reason he picked up the pillow is because he needed it to carry her out to the car. Pope does what he has to do for the family, but I think that is a good question because ultimately Lina is not going to have a father and we already know that Baz is an absent and terrible father. So, Lina is going to be around the Cody compound and I have a feeling that Pope is going to step up. I don’t know for sure, but that’s just the feeling that I have. You see it a little bit with J and how he’s the only one who treated J properly and with any kind of true nurture. I have a feeling that is going to be something in Season 2 that we deal with. The writers are really good at making people hate Pope one minute and then in the next breath, you think he is ok and I look forward to more of that. Pop Culture Principle – It seems that Vinn isn’t going anywhere anytime soon. Will we learn more about what happened to Pope while he was in prison in the next season and what do you think Pope will do about Vinn? 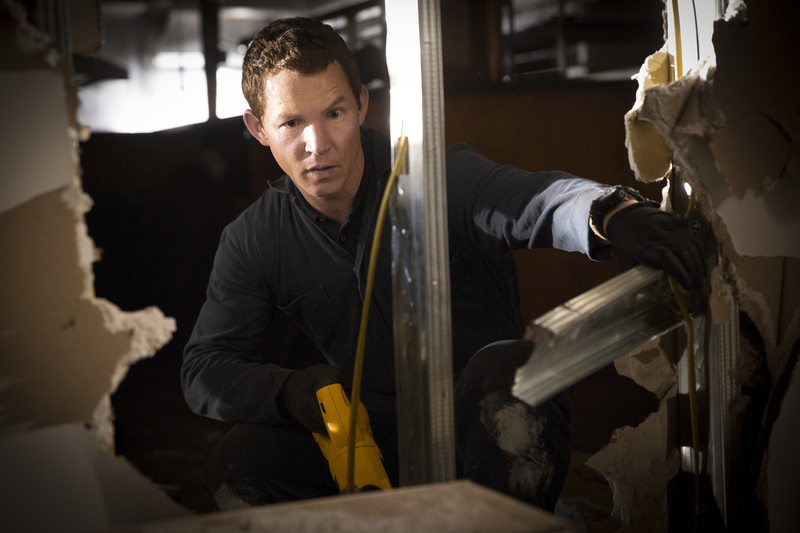 Shawn Hatosy – Well, we are not done with Vinn in Season One. Episode 10 there is a little bit of crossover, so we aren’t finished with that yet. I don’t know going forward if we are going to find anything out about his time in prison. I just had this vision of Pope in prison and his OCD and his cleanliness. I wonder what kind of cellmate he would have been with Vinn and did they ever get in fights because the towels weren’t folded right or whatever. LOL. Pop Culture Principle – What can fans look forward to with the Season 1 finale? Shawn Hatosy – Well, there are all these balls that are up in the air. We have the heist which is not completely finished. Episode 9 had twenty minutes of action for setting up and cooling off that heist. We are going to get some resolution there. There is also the fact that Catherine is now around and now Baz understandably asking questions about where his girlfriend and mother of his child is, so Pope has to keep that lie going which I am sure he is happy to do. Also, J’s storyline with the cops closing in on him will have a resolution there as well. I remember reading one of the scenes that Finn Cole has to pull off and I just got chills. I can’t wait for fans to see these last two episodes. I am really proud of the show and I think that we are delivering some excellent television in this day and age when there is a lot of great television out there. We'd like to thank Shawn Hatosy for sitting down to talk with us about his character Pope and the series Animal Kingdom. Don't forget, the Season 1 finale of Animal Kingdom airs on Tuesday, August 9th at 10/9c only on TNT!